Natural beauty shines through in the Villa coffee table from Urban Woodcraft. Constructed of rescued teak planks and thick cuts of pine, this 40" square table elevates the look of any open space with its large scale and natural wood finish. The spacious plank top and bottom shelf provide plenty of space for coffee table books and more. 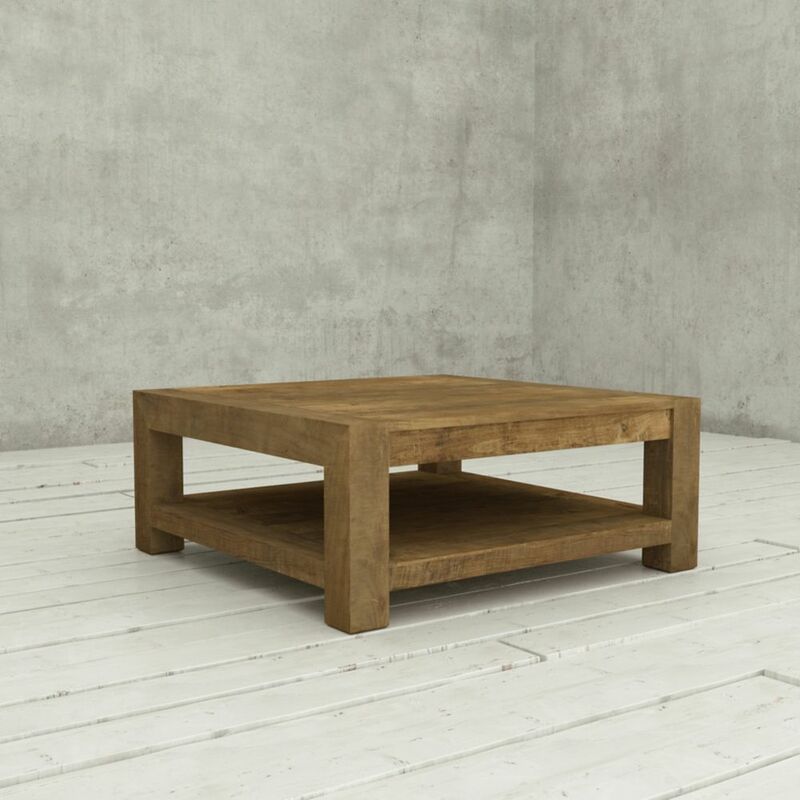 40 Inch Villa Coffee Table Natural Natural beauty shines through in the Villa coffee table from Urban Woodcraft. Constructed of rescued teak planks and thick cuts of pine, this 40" square table elevates the look of any open space with its large scale and natural wood finish. The spacious plank top and bottom shelf provide plenty of space for coffee table books and more.